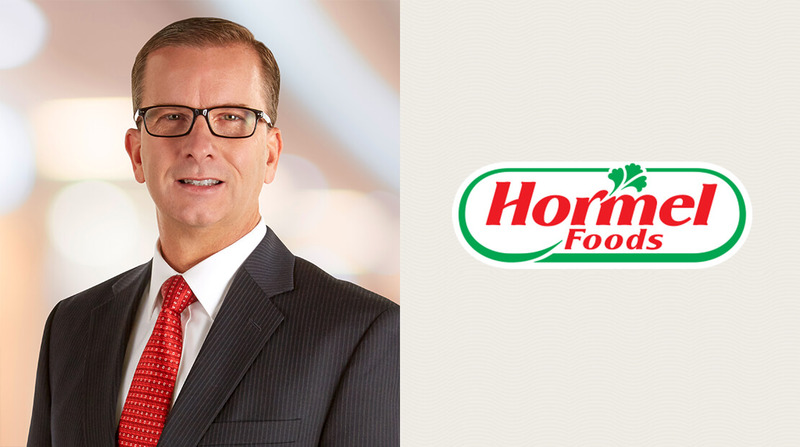 Hormel Foods Corporation (NYSE:HRL) today announced the appointment of Jeff Baker, group vice president, Foodservice, to the newly created role of group vice president, Deli. Baker will report to Tom Day, executive vice president, Refrigerated Foods. In this new role, Baker will lead all of the deli offerings from across the enterprise, including Columbus Craft Meats, the Jennie-O Turkey Store deli division, the Hormel® and Di Lusso® deli brands and Hormel Gatherings® party trays. As the retail deli category continues to grow, the new deli group will offer an unmatched array of innovative solutions for retailers to expand this channel. Additionally, the company announced leadership changes in the Foodservice business. Mark Ourada, vice president, Foodservice sales, will advance to group vice president, Foodservice, bringing 30 years of foodservice leadership to the business. David Weber, vice president, Foodservice marketing, will advance to vice president, Foodservice sales. Weber has 26 years of leadership in foodservice. “Our Foodservice team has delivered strong, industry-leading growth as they partner with operators to help differentiate their menus with innovative, great-tasting offerings. Mark and David each bring a wealth of experience to this high-growth business and I look forward to continued success under their leadership,” added Snee. Baker joined Hormel Foods in sales in 1990. After holding product manager positions for smoked meats and sausage, Baker became the Meat Products district manager in Buffalo, N.Y., in 2001. In 2002, he was promoted to senior product manager, Meat Products, and became the group product manager for Meat Products three years later, with both roles providing leadership in the deli business. Baker advanced to director of fresh meats marketing and Precept Foods in 2009, and he advanced to vice president, Foodservice marketing in 2012. He became group vice president, Foodservice in 2015. Ourada began his career at Hormel Foods in 1988 as a relief sales and merchandiser in Minneapolis, Minn., and was promoted to sales representative and territory manager the same year. A year later, he became a Foodservice sales representative in San Antonio, Texas. In 1993, he became the Foodservice account manager in Denver, Colo., and in 1995 was promoted to Foodservice account executive. In 1998, he moved back to Minneapolis as a Foodservice area manager, and in 2001 moved the role of Foodservice regional sales manager in Cincinnati, Ohio. In 2013, he became vice president, Foodservice sales. Weber started his career with Hormel Foods in 1992 and held several Foodservice sales and product manager positions throughout the country. In 2006, Weber was promoted to Foodservice regional manager in Charlotte, N.C. He was promoted to president of Burke Corporation in 2012, and assumed the role of vice president, Foodservice marketing in 2015.